Solar firm starts work on fixed-wing UAV » UAV DACH e.V. A commercial- and industrial-scale unmanned aircraft vehicle developed by AeroVironment will soon be getting a solar upgrade. Through a contract awarded by Johns Hopkins University Applied Physics Laboratory, New Mexico-based SolAero Technologies Corp. will create a solar-powered wing system that could be used on an AeroVironment fixed-wing Puma. 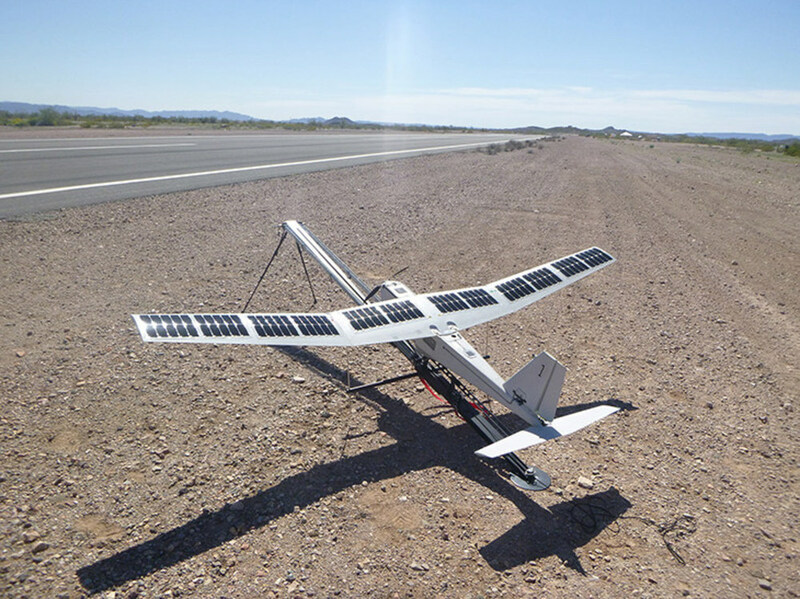 SolAero has already built, tested and outfitted UAVs with its solar system. The solar-wing was developed through a joint cooperative research and development agreement with a U.S. Department of Defense customer. Through the testing of the DoD version, the system met the flight duration estimates created through engineering plans. The prototype system was tested at the Yuma Proving Grounds this year. In 2018, SolAero will perform more field testing and field validation. “We are excited by the opportunity to provide our lightweight, affordable integrated solar wing technology to APL in support of its DoD program,” said Brad Clevenger, CEO of SolAero. Johns Hopkins Applied Physics Lab works with the DoD on several projects, including UAVs. In addition to the AV Puma, SolAero has also outfitted two other UAV platforms with solar-wing technology. Founded in 1998, SolAero was originally created to provide solutions for space-based solar power solutions. Beitrag im Original auf http://theuasmagazine.com/articles/1795/solar-firm-starts-work-on-fixed-wing-uav, mit freundlicher Genehmigung von The UAS Magazine automatisch importiert, Original in englischer Sprache.